Every RLH is listed in one of the tables below, depending on status. Click on hyperlinked fleet numbers (if available) for more information on last status report date, location and photos, and sometimes bus histories. 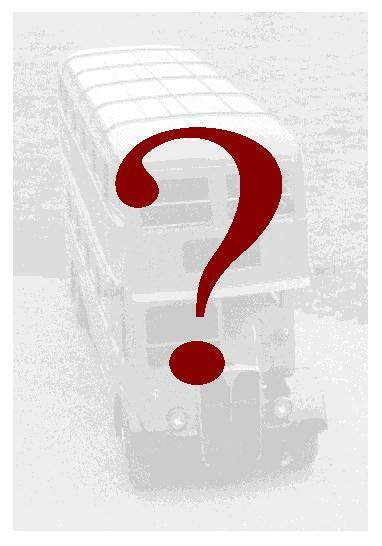 The former Midland General ONU buses status can be found on a separate page. The individual identification numbers given to every RLH (chassis, body etc) can be found in a separate table. The symbol means the bus entry has been updated with a recent photograph. Please also see list of changes on the Site Updates Log. If you have any updates, extra information or photos, please post to our Message Forum. Fortunately, the RLH bodies and chassis were always kept in the same pairing following overhauls by London Transport. To identify an RLH from the various plates and numbers on the vehicle, click here. RLH 59 Atlanta, Georgia 1974. Badly damaged in accident 1969.